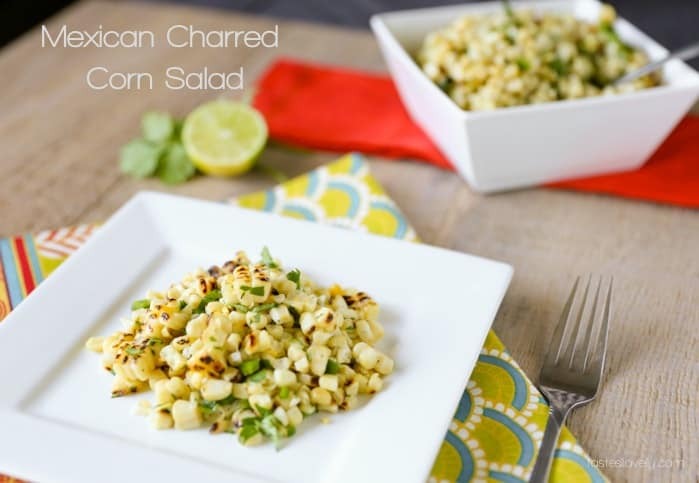 A light charred corn salad tossed in a simple Mexican vinaigrette. Tastes great served warm or cold. I know, I know. 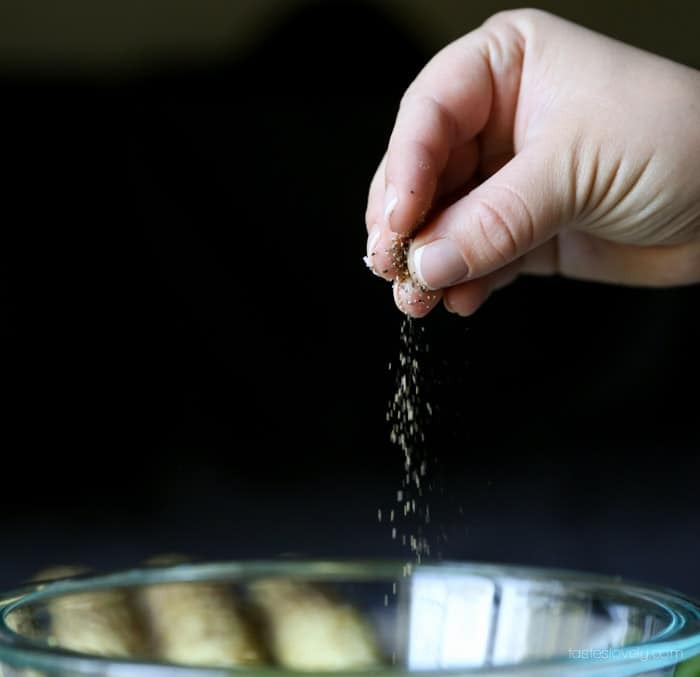 This is not exactly a Fall recipe. October is supposed to mean the beginning of Fall. But living here in California you wouldn’t know it since the temperatures are still in the 70’s and 80’s. You won’t hear any complaints about this from my beautiful sister who is getting married this weekend. 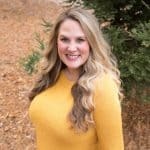 A nice sunny Fall day is all she has been hoping for over the past 9 months for her October wedding. Couldn’t be happier that the weather is projected to be a glorious 80 degrees and sunny. How perfect is that? 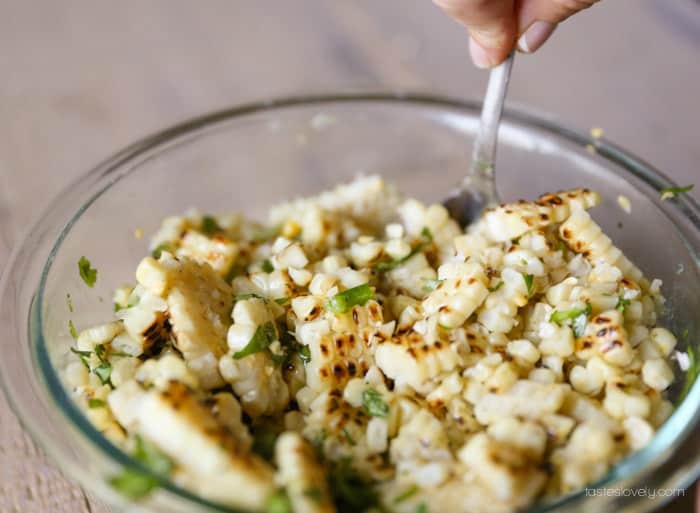 So given that it still feels like summer around here, can you allow me to post 1 last summer recipe? 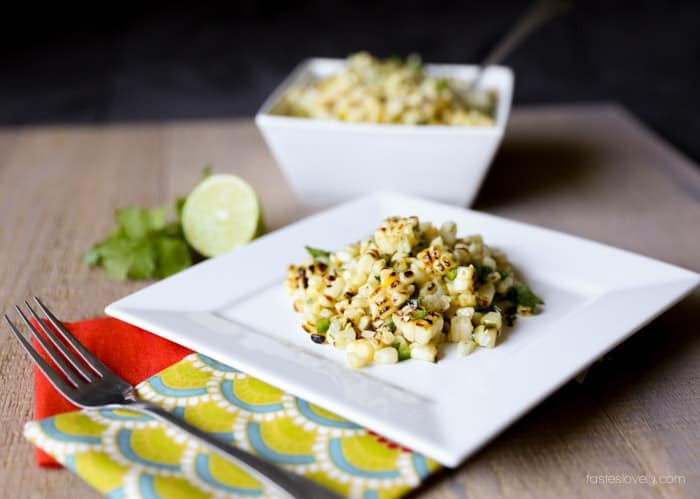 This charred corn salad may have been my favorite creation from this summer. I made it at least once a week. 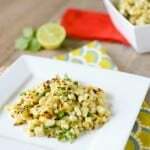 It was great served alongside grilled chicken, pork or steak. It is a cinch to throw together. Let me show you how. 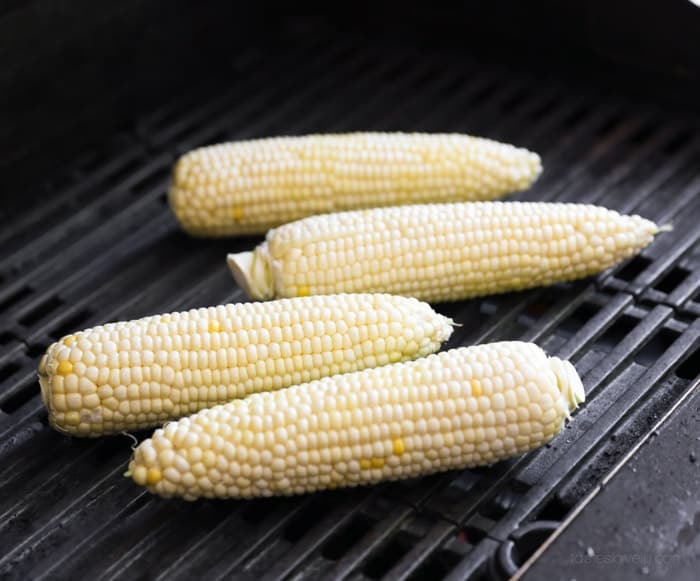 Start off by charring the corn on the grill. Turn over about every minute or so until it is evenly charred. You may hear some popping noises. 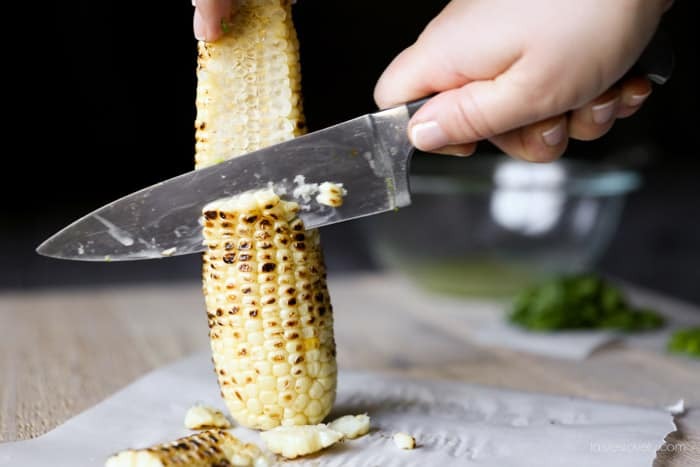 Don’t worry, that is just trapped steam screaming as it is leaving the corn kernels. 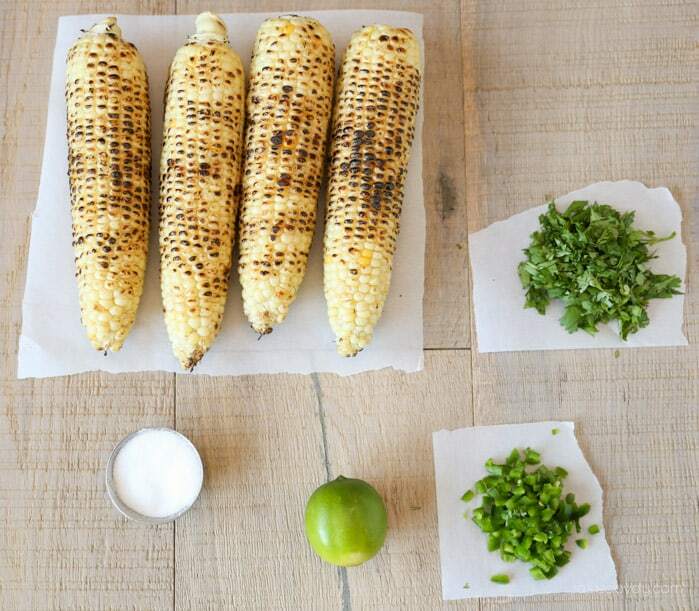 As the corn cools, assemble the rest of your ingredients; 1 cup chopped cilantro, 1 seeded and chopped jalapeno, 1 lime, sugar, olive oil, salt and pepper. 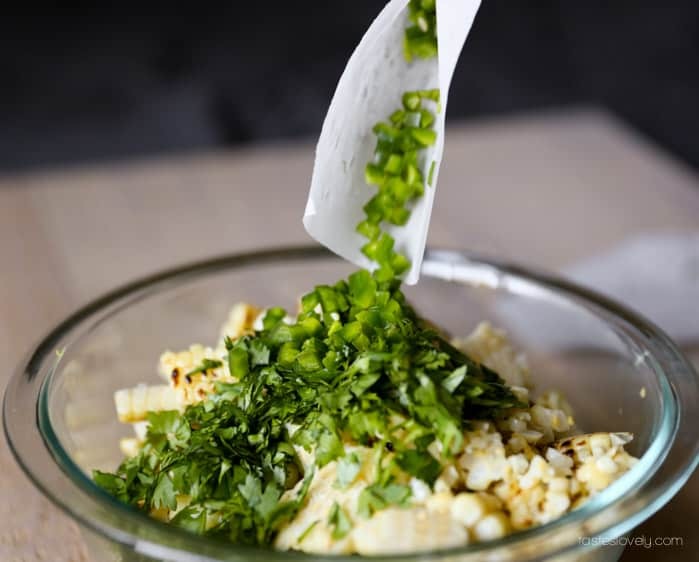 Start off by making the vinaigrette. Zest the lime. 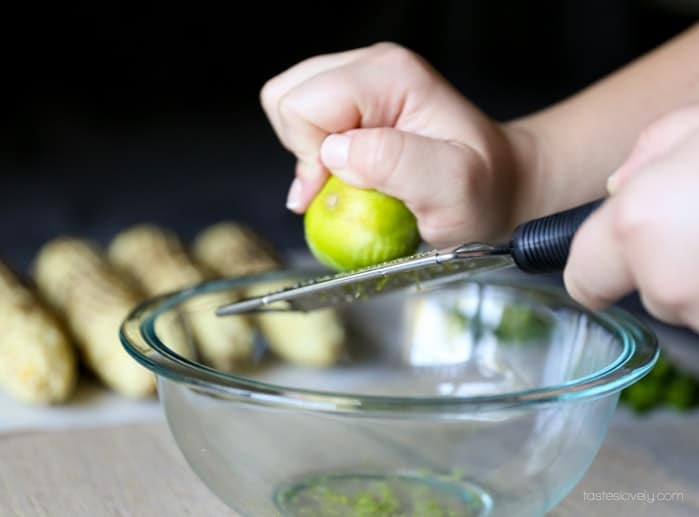 Then squeeze in the juice of the whole lime. 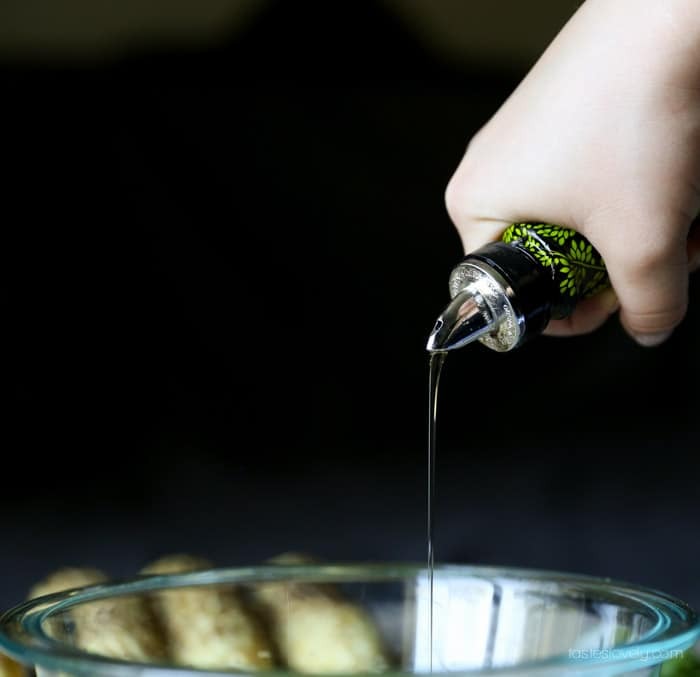 Drizzle in about 2-3 tbs olive oil. 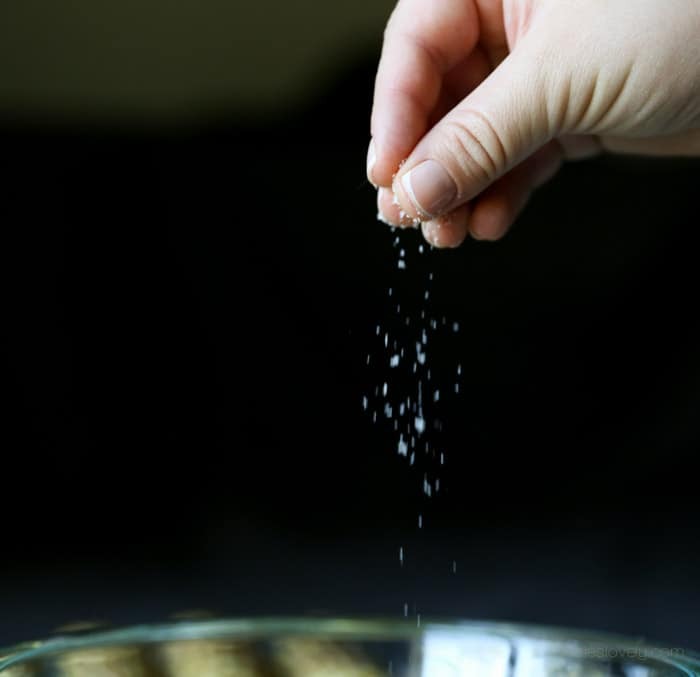 Sprinkle in a big pinch of sugar, about 2 tsp, more if you like it sweeter. Stir it up to combine and admire it’s pretty green color. The corn should be cooled down enough by now to handle. 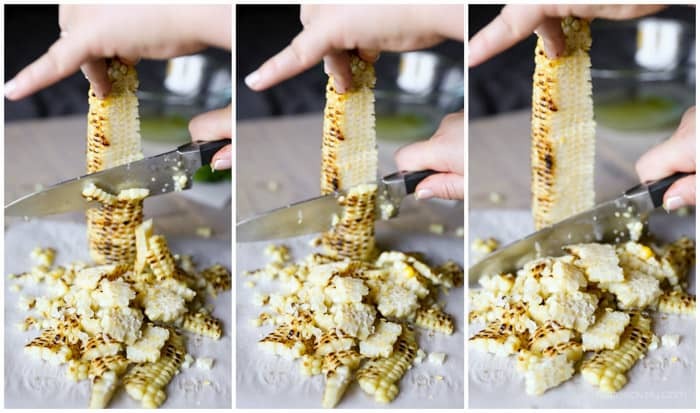 Cut the kernels away from the cob. Apparently I cut with pinkies out? How fancy of me. 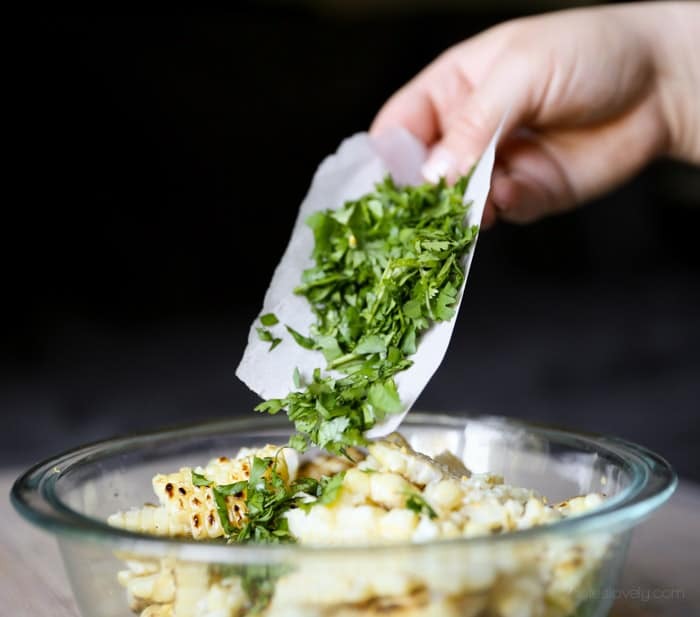 Add the corn kernels to the vinaigrette. 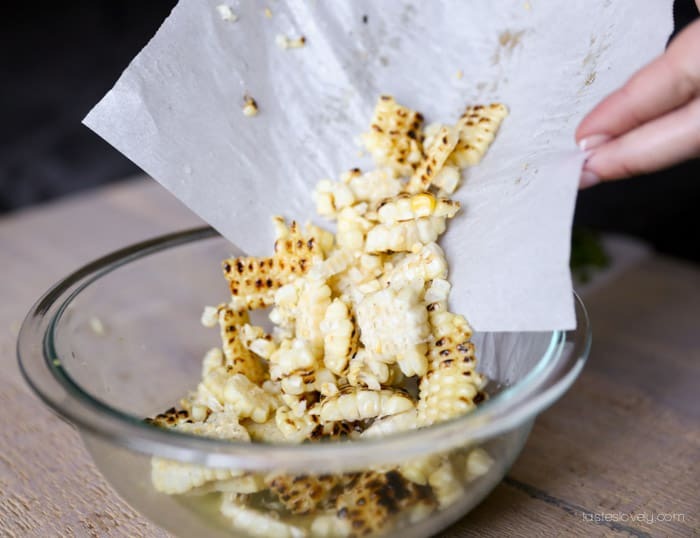 If you chop your corn onto parchment paper it makes for very easy transportation. Toss it all together to combine. 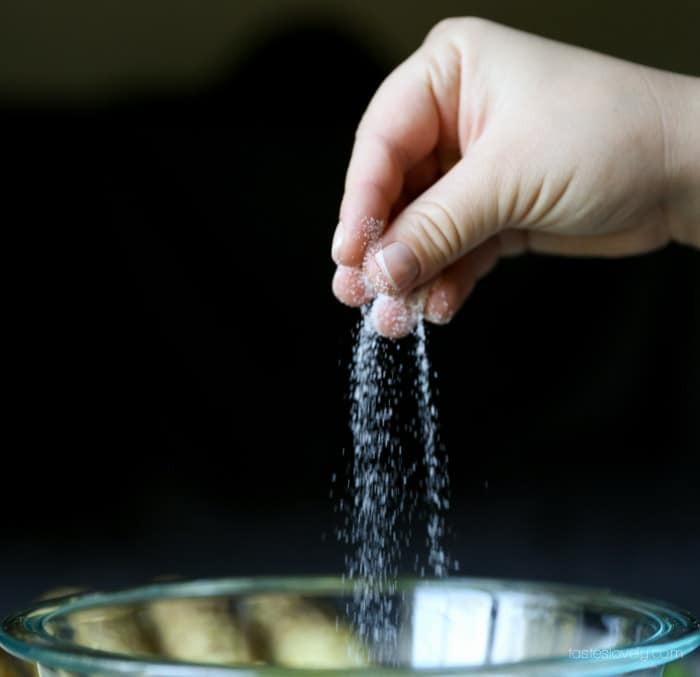 You can serve it right away warm, or refrigerate and serve it cold. Will keep in the fridge for 1 week. Here’s hoping the universe is purposefully waiting for my sister’s wedding to be over, and then it will quickly usher Fall in to California. I’m ready for soup weather. Who’s with me? Off to work on my maid of honor speech! 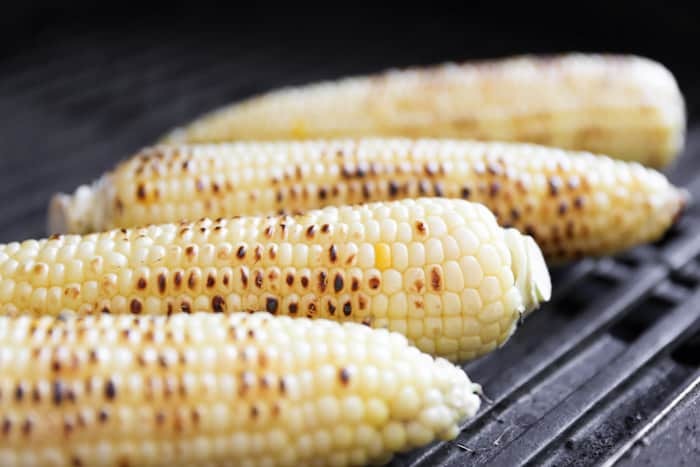 Char the corn on high heat preheated grill for about 5 minutes, turning every minute until evenly charred. 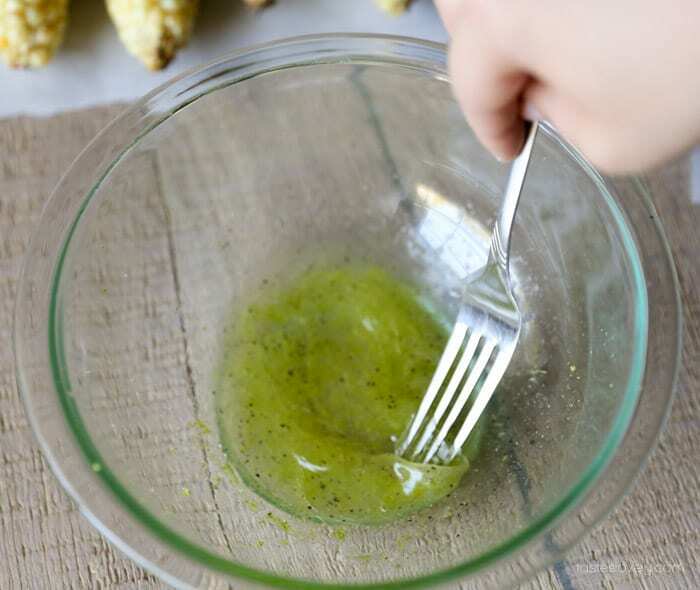 While the corn cools make the vinaigrette by combining lime zest, lime juice, olive oil, sugar, and salt & pepper to taste, whisking to combine. 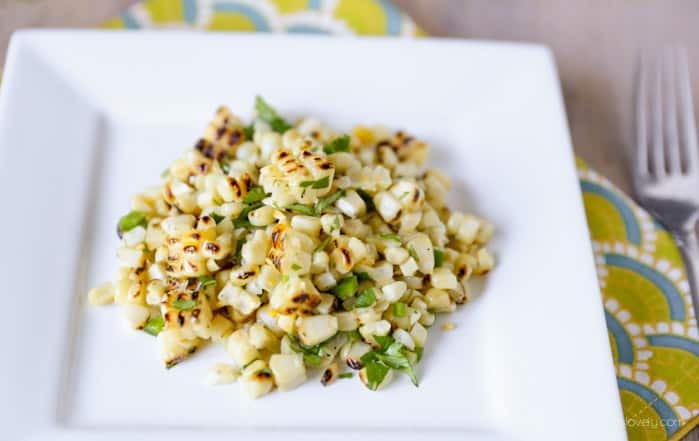 Cut corn from the cob, add to the vinaigrette along with cilantro and jalapeno. Toss to combine. 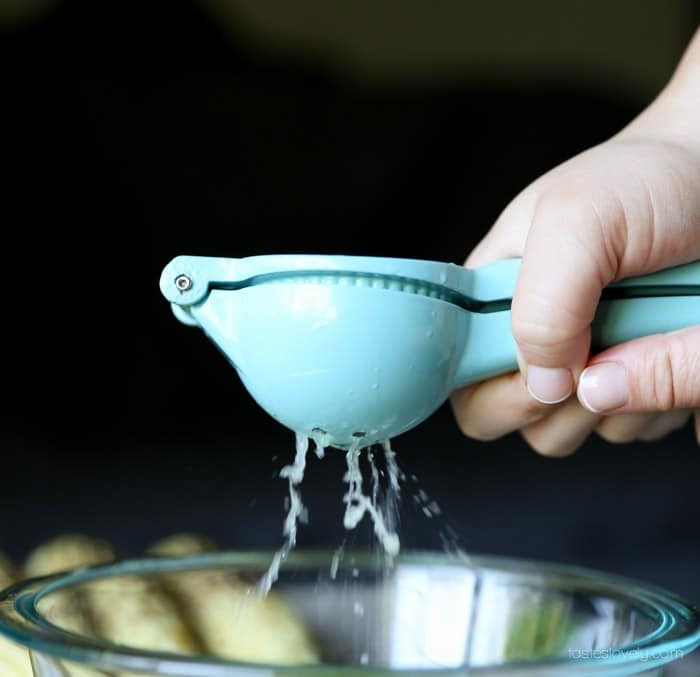 Serve right away at room temperature, or refrigerate and serve cold. Will keep in fridge for 1 week. Hello, I log on to your blogs on a regular basis. Your humoristic style is awesome, keep up tthe good work!